Salman Khan is born on 27 December 1965 and his complete name is Abdul Rashid Salim Salman Khan. Salman Khan is an Indian actor, producer and television personality. Salman Khan is the eldest son of Salim Khan with his first wife, Sushila Charak. Salman Khan’s father, Salim Khan, was a screenwriter and his family was originally from the Afghanistan. Sushila Charak, his mother adopted later the name of Salma Khan. The step mother of Salman Khan is a former actress named Helen. Salman Khan has 2 brothers (Arbaaz Khan and Sohail Khan) and 2 sisters, one of them being adopted (Alvira Khan Agnihotri and Arpita – the adopted sister). His brothers are actors and film producers too and her sister Alvira Khan Agnihotri is a film producer and fashion designer. Related Salman Khan’s education, he followed The Scindia School, Gwalior for a few years and then attended St. Stanislaus High School. Salman Khan started the courses at St. Xavier’s College but did not finish it. Salman Khan has thirty years of acting career and he debuted in “Biwi Ho To Aisi” (1988). In 1989 he is playing a lead role in “Maine Pyar Kiya” and this was the opportunity for Salman Khan to achieve performance and success. “Maine Pyar Kiya” had a lot of success being one of India’s highest-grossing films and Salman Khan established himself in the Bollywood world. In the 1990’s, Salman Khan played in several box offices films like “Hum Aapke Hain Koun..!” (1994), “Karan Arjun” (1995), “Biwi No.1” (1999) or “Hum Saath-Saath Hain” (1999). Starting with 2000 year, Salman Khan had a decline period but he exit from it in 2010 by playing lead roles in successful films as “Dabangg” (2010), “Ready” (2011), “Ek Tha Tiger” (2012), “Kick” (2014), “Sultan” (2016) and “Tiger Zinda Hai” (2017). Salman Khan is also a film producer and in 2011 he launched his own production company named SKBH Productions (Salman Khan Being Human Productions) and decided that money earned from film productions to be donated to the ‘Being Human” organization. The first film made under this company was “Chillar Party”, a kids entertainer that won 3 National Awards for Best Children’s film, Best Original Screenplay and Child Artist’s Award. In 2014, Salman Khan is launching his second production house – SKF (Salman Khan Films). The first film released was “Dr. 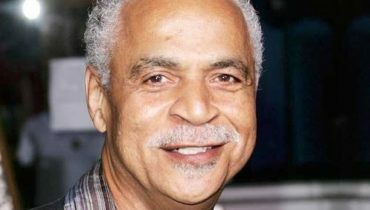 Cabbie” having success and earning on its first day $350,452 at the box office. 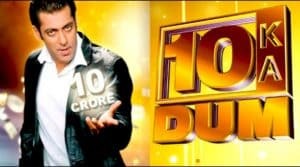 As television personality, Salman Khan hosted TV shows as “10 Ka Dum” in 2008 or “Bigg Boss 4” in 2010. He has also hosted next series of “Bigg Boss” (Bigg Boss 8, Bigg Boss 9, Bigg Boss 10 and Bigg Boss 11). In 2013, Salman Khan has a premiere and he is hosting an Award Show (“Star Guild Award”). During his career, Salman Khan received numerous awards, including two National Film Awards as a film producer and two Filmfare Awards for acting. 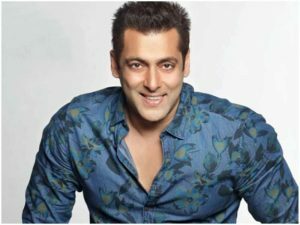 Salman Khan was the only actor that stayed in the highest-grossing Bollywood films for ten separate years and he is the highest ranked Indian, according to Forbes 2015 list of Top-Paid 100 Celebrity Entertainers in world. Salman Khan was the image for several brands, doing advertisements for these brands. Initially, before to became famous, Salman Khan did advertisements for Campa Cola, Limca Soft drink, Hero Honda bikes and Double Bull shirts. In 2002 he was the image of “Thums Up” , then he signed with Mountain Dew drink company with whom ended the contract in December 2010. Nowadays, he is representing again “Thums Up” company. Other brands related to his image were Yatra.com, Suzuki motorcycles, detergent brand Wheel, Chlormint – a brand of gum and many others. In collaboration with Kareena Kapoor, Salman Khan has also a jewellery brand – “Sangini”. In the daily life, Salman Khan is a mentor for numerous aspiring Bollywood actors and he is involved in charity actions. He created and developed the NGO named “Being Human”. Often, he is visiting sick children in the hospitals and he also is donating blood. In the personal life, Salman Khan is a controversial person. In 2012, Salman Khan drove negligent and his car ran into a bakery in Mumbai, one person died and three others were injured. The process was long but in December 2015 it has ended and Salman Khan was acquitted due to lack of evidences. Other controversial and difficult episodes for Salman Khan were the charges of hunting/killing endangered animal species as a deer or Chinkara. Salman Khan is doing sport exercises every day and loves to visit London. He has a wax mannequin of him in Madame Tussaud’s Museum in England. As favorite actors there are Silvester Stallone and Hema Malini and as favorite singers are Sunidhi Chauhan and Sonu Nigam. 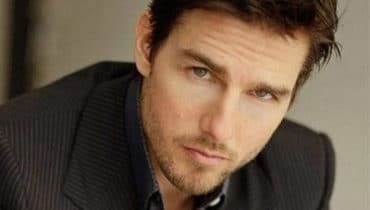 From his love relationships, the important relations were the relations with the actress Aishwarya Rai ( 1999 – 2002 ) and the one with actress Katrina Kaif. Other persons important from Salman Khan’s life were Sangeeta Bijlani and Somy Ali. Actually, Salman Khan is living in Galaxy Apartment in Bandra, Mumbai, India and, regarding personal life, there are grounded rumors that Salman Khan is in a relationship with the Romanian celebrity, Iulia Vantur (actress, TV personality and model). Iulia Vantur is participating at all events of Khan’s family.